Mumbai-based angel investor Mahesh Murthy, who was arrested in a molestation case and granted bail last month, was booked for sexual harassment for the second time after another woman came forward and filed a complaint. Murthy is the co-founder of Seedfund and the founder and chief executive officer of Pinstorm Technologies Private Limited, a pay-for-performance digital brand management firm. In the complaint, the victim has alleged that Murthy sexually harassed her about 14 years ago. The woman approached the Bandra police in connection with the matter on March 19, following which an FIR was registered. “She was an intern when she first met Murthy in 2004. 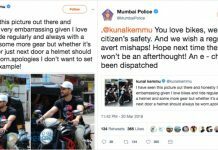 When she met him again after a few days at a coffee shop in Bandra, Murthy allegedly kissed her without her consent,” an official with Bandra police told Local Press Co.
Based on the woman’s statement, Bandra police have registered a case under Indian Penal Code sections 354 (sexual harassment) and 509 (word, gesture or act intended to outrage a woman’s modesty) against Murthy. In February, Khar police had arrested Murthy in connection with a molestation case, based on a complaint filed by a Delhi-based woman entrepreneur. However, he was released after he obtained anticipatory bail from a court. The case was registered by the Khar police as the complainant mentioned that Murthy was a resident of Mumbai. In 2017, a business author had alleged that she was sexually assaulted by Murthy, a claim rubbished by him. In April 2017, a series of complaints surfaced on social media against Murthy. These included some charges dating back a decade ago. 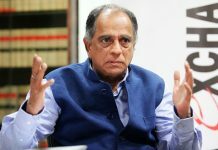 When asked about the new allegations leveled against him, Murthy rubbished them by claiming that it was “age-old news, re-hashed and complete nonsense”. “This lady makes claims that change from time to time, about what happened at one meeting in broad daylight in a crowded coffee shop some 14 years ago,” Murthy told The Indian Express. “I sued her for these defamatory claims a year ago, and the high court granted a stay in my favour. This is her counter attack. Once again, these are completely false allegations and I will fight these ridiculous claims,” he added.